These are some of the scariest haunted houses in America. Each fall, the leaves change, the air becomes crisp, pumpkin spice flavored everything hits the market, and Halloween is approaching. Halloween is a holiday where people can let loose, dress in costumes, party, go trick-or-treating, and more. Haunted houses typically come around once a year, and the production quality of most are pretty gimmicky, as they only exist for a good month or two before being taken down for the rest of the year. Actors in haunted houses are hired temporarily, and most owners of these establishments want to make as much money as possible and capitilze on the spooky season. However, not all haunted houses fall into this category. In fact, there are several haunted houses around the country who have taken the concept of a haunted house to the next level and have raised the bar on a building that scares the bejeezus out of people. First, we have the Bates Motel Haunted Hayride in Glen Mills, Pennsylvania. Just as the title implies, the Bates Motel Haunted Hayride is a terrifying walk through of a haunted house that includes inducing true fear, reminiscent of the Bates Motel from the classic film, “Psycho”. In Los Angeles, California, there is “The Alone Experience”, which is a haunted house that doesn’t have your classic slasher, blood, and horror hijinks. But instead, you walk into the building alone, and the environment is catered to specifically play with your mind by triggering your body’s survival mode and messing with your mind. Hallucinations can be seen and a true adrenelaine rush can occur. Pennhurst Asylum is located in Pennsylvania and was a real insane asylum. It was closed down in the eighties, but before that, patients were mistreated and barbaric treatment occurred. It is believed today that the asylum is haunted. While the asylum is opened year round for tourists and ghost hunters, Halloween transforms it into the haunted asylum. Actors reenact the terrible experiments and discipline methods that took place in the building. Perhaps the fact that there are based on true events is what makes this particular haunted house exceptionally intense. In Las Vegas, Nevada, there is a haunted house that requires that you’re at least 17 years of age. There is risk of being dragged away by ghouls, being shocked with a small amount of electricity, and overall, little chance for escape as the lines of personal boundaries are challenged and questioned. Haunted Hoochie at Dead Acres in Pataskala, Ohio is considered to be a full assault on the senses. The location has controversial content and the overall theme is purposely bizarre and offensive. The owners and designers spared no expense as they include pyrotechnics and heavy metal rock music to keep the adrenaline pumping and your senses fully aware of what’s going on around you. In San Diego, California, you can get the full immersive experience at McKamey Manor. For 2-3 hours, you are the star of your own snuff film, as you’re forced to go through humiliating acts, have people yelling at you, assaulting you, and even crossing the sexual assault bounds. Of course, before you begin, you sign paperwork and a safety word is established should it become too intense. With the lines these haunted houses are crossing, one has to wonder…how far is too far for a thrill? November 02, 2018. Last Chance 2018. DON'T miss Alabama's most instense haunted house and see what everyone has been talking about. The 2018 Halloween season is ALMOST OVER with only 2 nights remaining. Attractions. All 8 of Reign of Terror’s theme attractions are connected! As you exit one attraction, you immediately enter the next! Each attraction is designed to target -and maximize – a different part of your deepest fears! PSYCHO WARD Haunted House is West Michigan's most terrifying haunted attraction. Not recommended for children under 12 years of age. Chicago's Largest Haunted House, the 13th Floor! Horror in the Heart of Chicago! This Halloween Season, explore the legend of the 13th Floor at one of the most horrifying haunted house experiences in Chicago, the 13th Floor Haunted House! 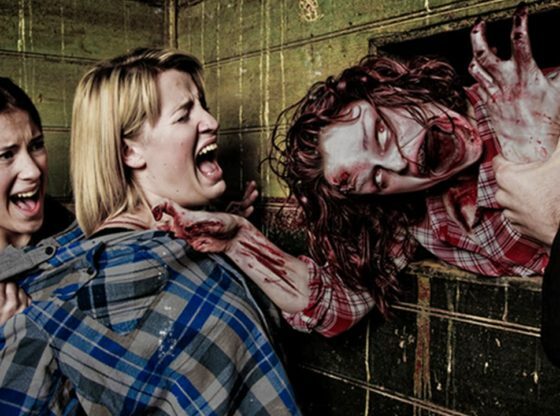 Be terrorized in Central PA's largest, scariest, most heart pounding haunted attraction. We combine live actors and animations for the ultimate experience. Located in Blair county, just outside of Altoona, PA. Check out Kiddie Days. We have something for everyone! Atlanta’s haunted house event - Folklore Haunted House - Get ready for 3 ridiculous haunted houses. Named the best haunted house Atlanta. Take a ride through 68 acres of the area's most terrifying hayride and then get dropped off at the InsaneAtarium, the area's most intense haunted house in Youngstown Ohio.